and from there three thousand. as if it were a promise. you want to see it on someone’s lips. you heard of in a novel. before the sun has sunk. von etwas Wärme auf der Haut. Noch fließt das Herbstlicht süß und rein. solang der Himmel zaghaft blaut. Ist’s gelbes Licht? Ist’s gelbes Laub? 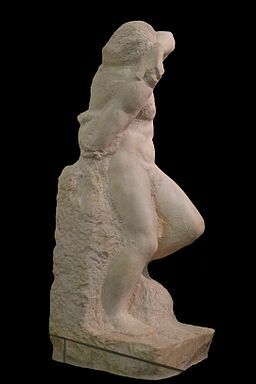 ‘Young Slave’ by Michelangelo. Photograph by Jörg Bittner Unna (own work) via Wikimedia Commons. 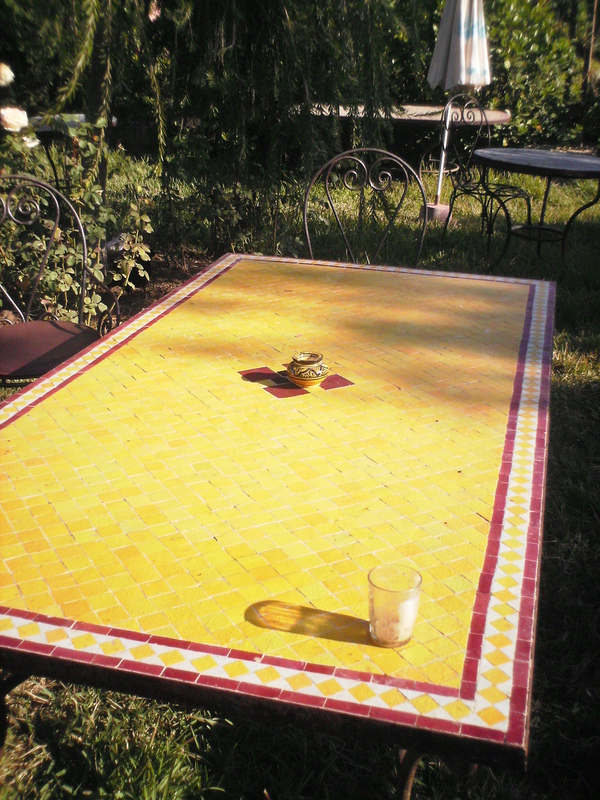 Roadside café in Morocco in midwinter. Photograph: Christina Egan © 2012. “Still the autumn light flows, sweet and pure… I felt it in England this afternoon, on top of a high building! Yet the line of the last pleasant sunshine is moving inexorably downwards from the northernmost regions through the temperate ones, its duration is shrinking, and so the space you can catch it at… When the light is lowest, though, it starts rising again, growing again. By the way: “No matter what happens, the sun will rise in the morning, and America will still be the greatest nation on Earth,” President Barack Obama announced during election night 2016. Not so: the United States have definitely exposed themselves not to be the greatest country on earth; and the sun would be darkened on an occasion like 9/11, or a nuclear bomb anywhere in the world, or a natural disaster due to technologies like fracking.